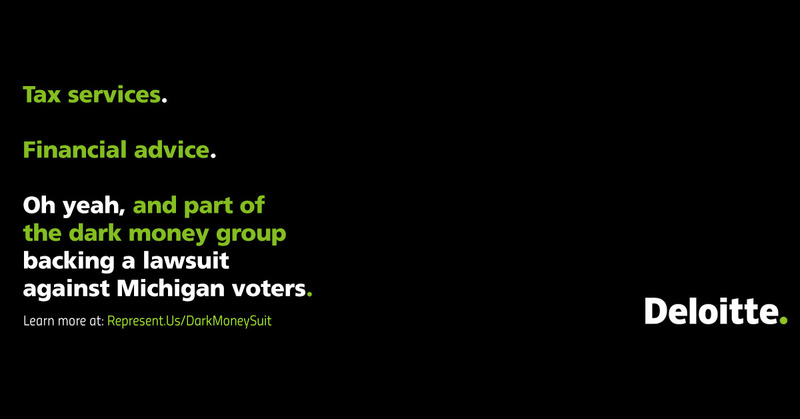 Who's behind the Dark Money Lawsuit Against Michigan Voters? This lawsuit is a ploy by special interests to stop the voters from ending gerrymandering at the ballot this year, and keep the system rigged so that politicians choose their voters instead of the other way around. If you follow the money, things start to smell pretty fishy. Let's take Deloitte for example. In the 2018 election cycle, Deloitte has given more than $2.8 million in campaign contributions, according to OpenSecrets.org. Last year, they spent nearly $2 million just on lobbying. And in return? In Michigan, Deloitte has received more than $400 million worth of government contracts. 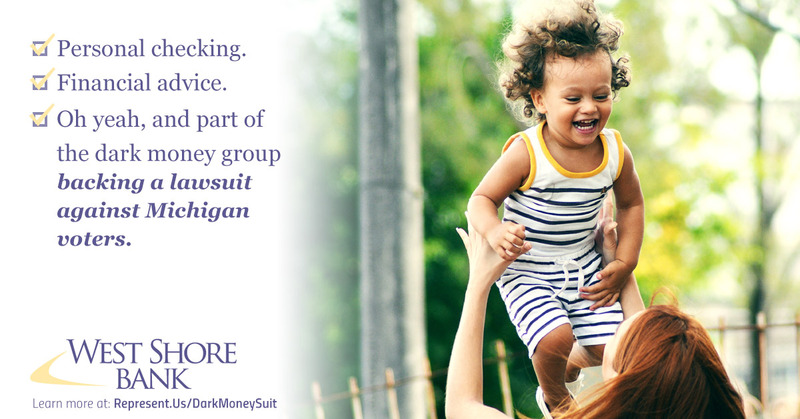 Deloitte's Managing Partner, Mark Davidoff, is Chair of the dark money group's Board of Directors, and has the power to call off the lawsuit against Michigan voters. Thousands of people have signed a petition demanding Mark Davidoff drop the suit and let the people vote. You can join the campaign by adding your name to the petition or funding these advertisements to help expose these businesses and pressure them to call off this lawsuit. You should really see this: https://act.represent.us/sign/MI-dark-money-more-info?source=taf . RepresentUs has a smart plan to fix our broken political system. Check it out. Represent.Us members are organizing across America to pass tough anti-corruption laws. 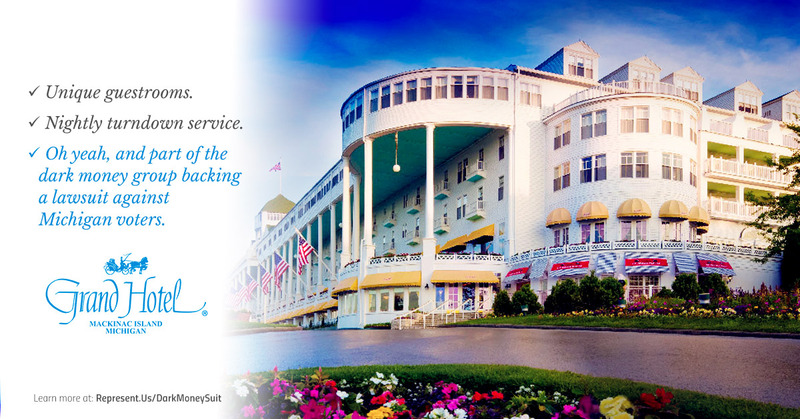 Join the movement and be part of the next big win.